Cropredy Surgery aims to provide the highest quality, holistic, patient-centred healthcare delivered with respect, compassion and understanding. Under the Data Protection Act Cropredy surgery is required to process personal data fairly and lawfully. The methods by which these processes are governed and explained to patients are known as ‘fair processing’. The General Data Protection Regulation (GDPR) ‘right to be informed’ encompasses the obligation to provide fair processing information, typically through a privacy notice. National data opt out provides a facility for individuals to opt-out from the use of their data for research or planning purposes. This replaces the previous ‘type 2’ opt-out, which required NHS Digital to refrain from sharing a patient’s confidential patient information for purposes beyond their direct care. Any person with an existing type 2 opt-out will have it automatically converted to a national data opt-out from 25 May 2018. The national data opt-out choice is set by the individual and does not require any action by the person’s General Practice. People will be able to set an opt out online, through a supported telephone service or by submitting a paper request. 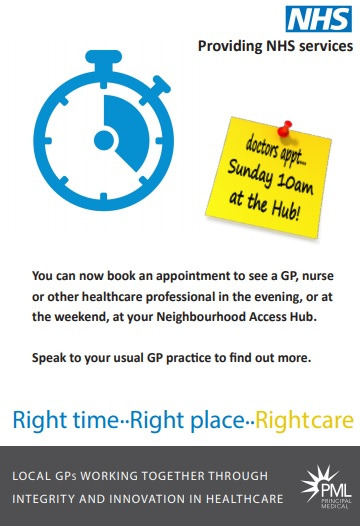 We have introduced an additional service to help you remember your appointment. You will now receive an appointment reminder by text to your mobile phone the day before your appointment, with the exception of Monday appointments where the reminder will be sent on a Friday. To ensure you receive a text message please check the number we hold with our receptionists. Should you not want to receive a reminder by text please advise our receptionists and they will ensure this is recorded. You can also cancel your appointment by replying with CANCEL when you receive your text reminder. Our dedicated team is here to treat those minor ailments that occur as well as providing specialist management of long-term conditions and clinics covering a wide range of healthcare issues. The technology also means you can now do a lot of things from the comfort of your home such as order a repeat prescription, cancel an appointment or view your electronic records. Cropredy Surgery is a semi-rural, dispensing practice housed in a building constructed in 2001 with suitable disabled facilities. We have plenty of car parking around the surgery.